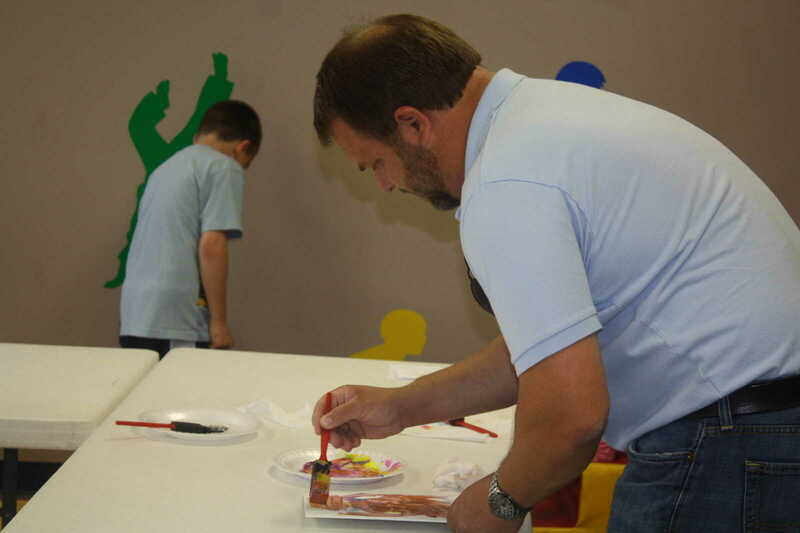 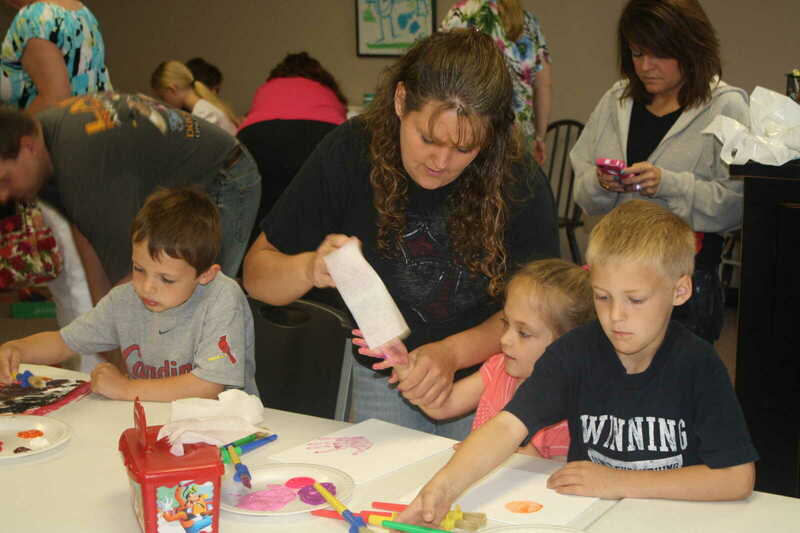 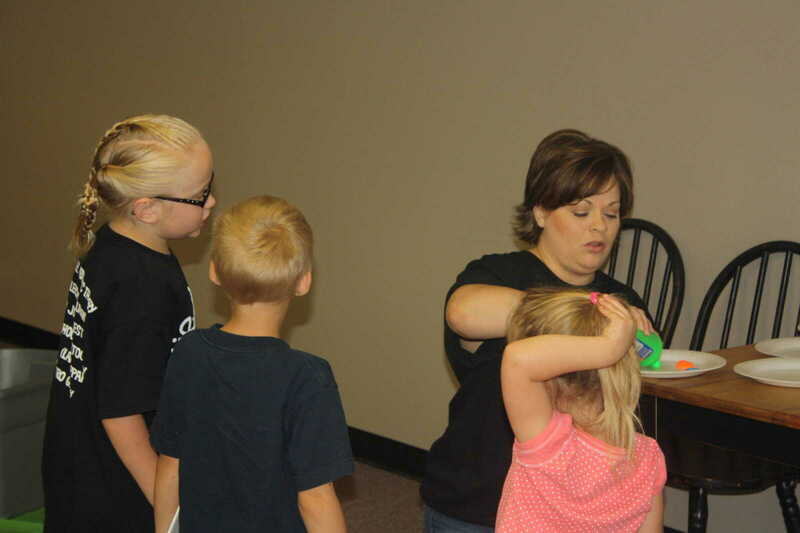 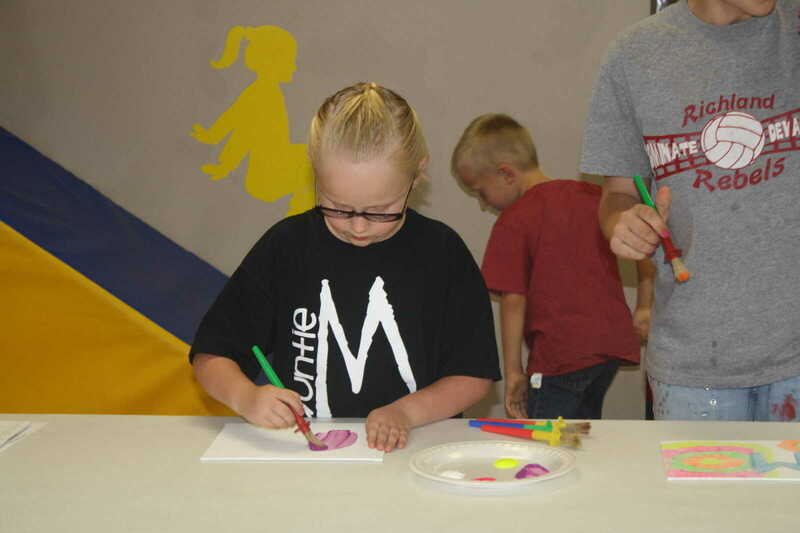 The Annual Auntie M Project to benefit Stoddard County Relay for Life was held on Saturday, April 28 with record numbers attending to "Paint for a Cure." 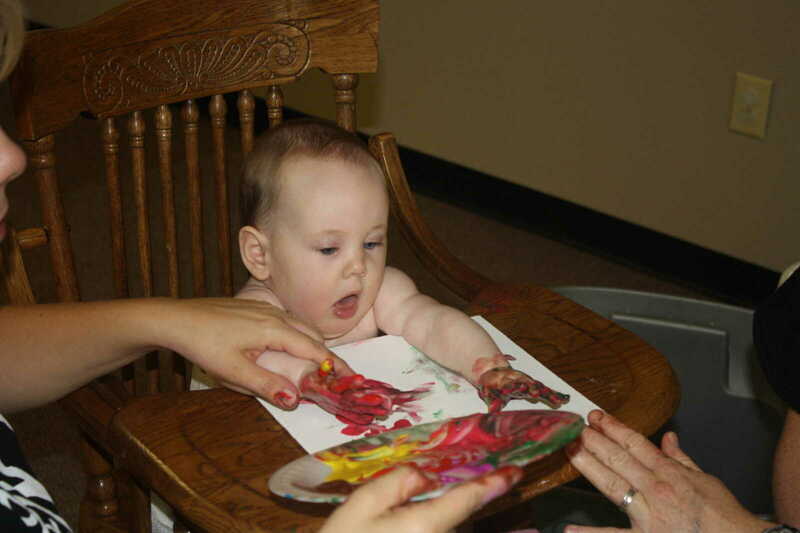 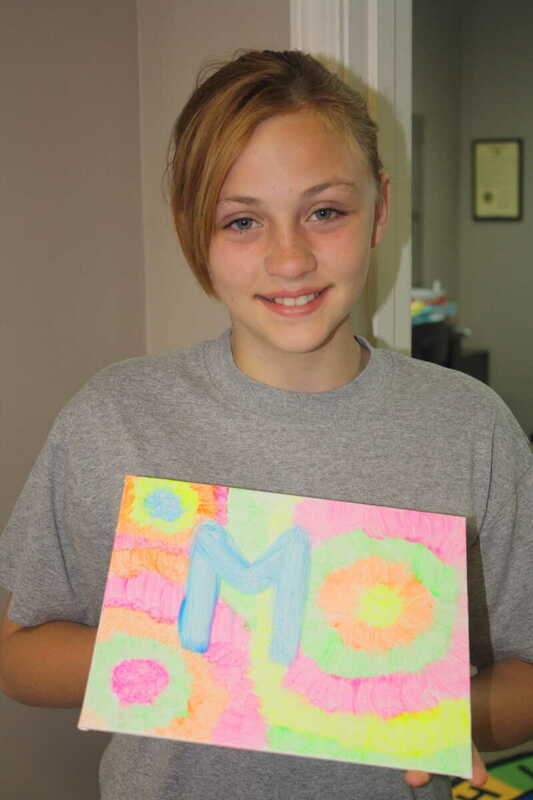 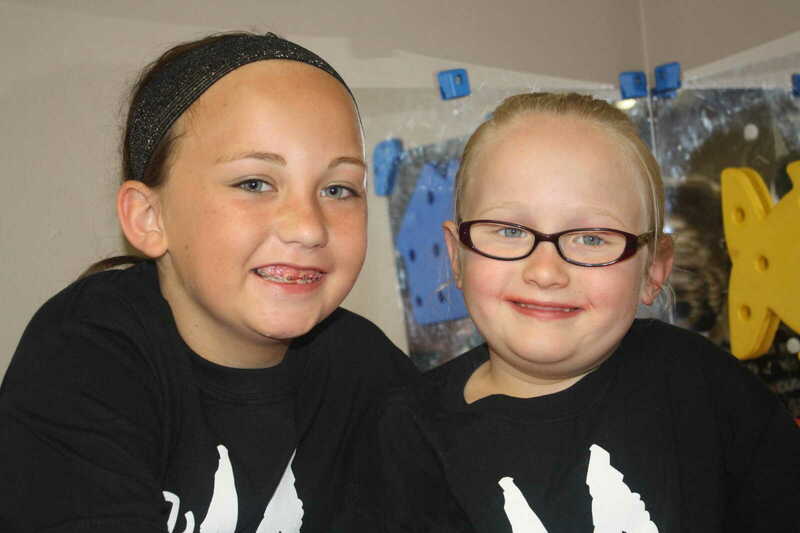 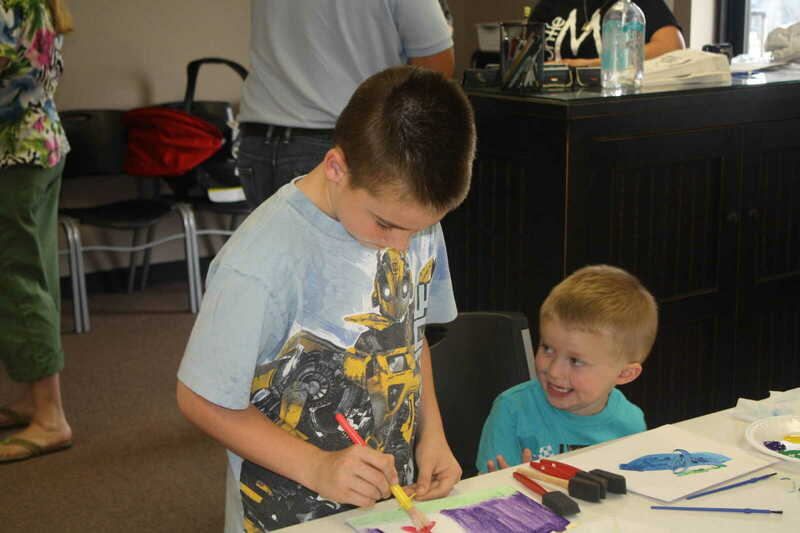 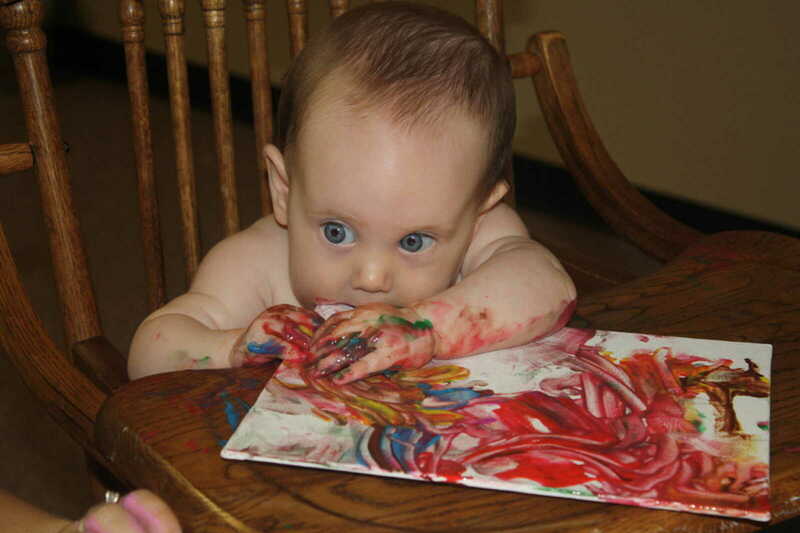 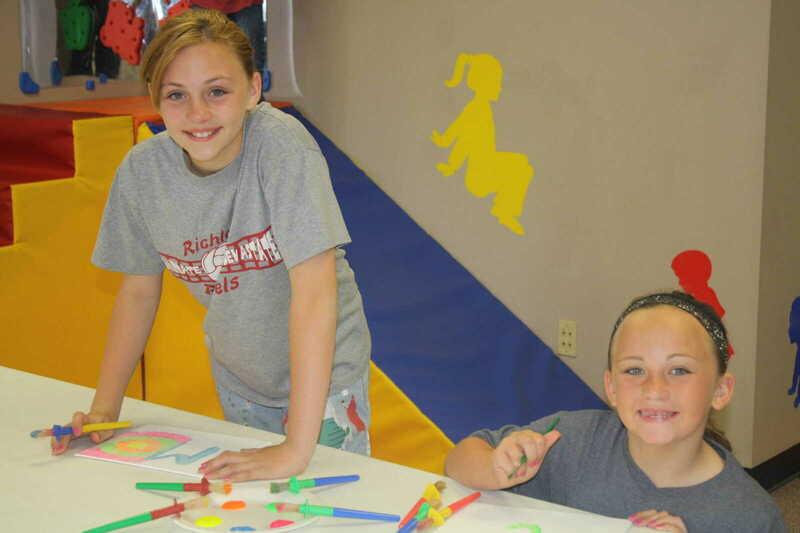 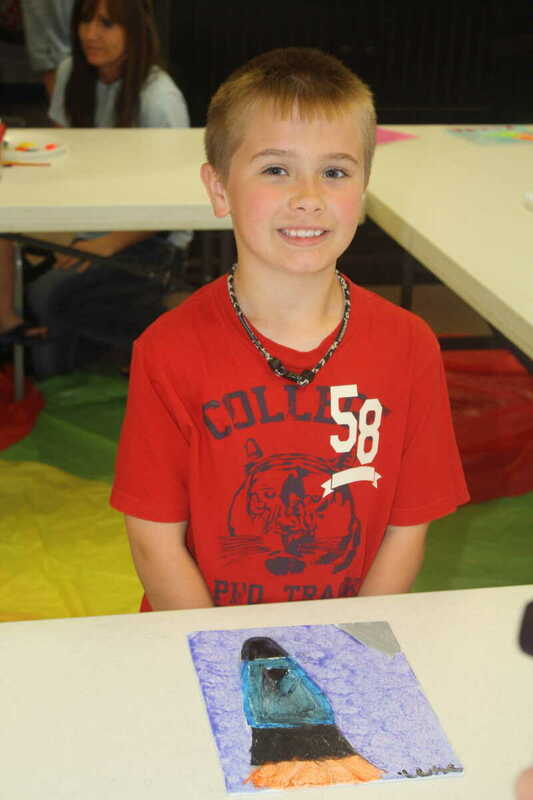 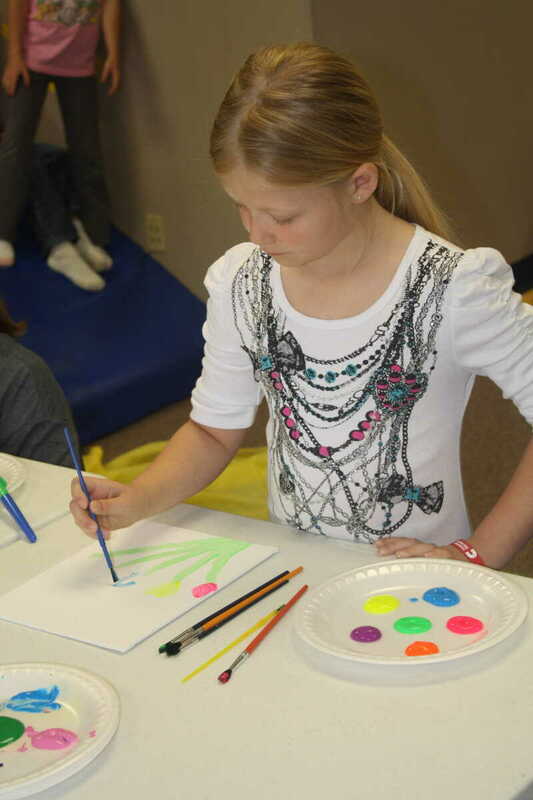 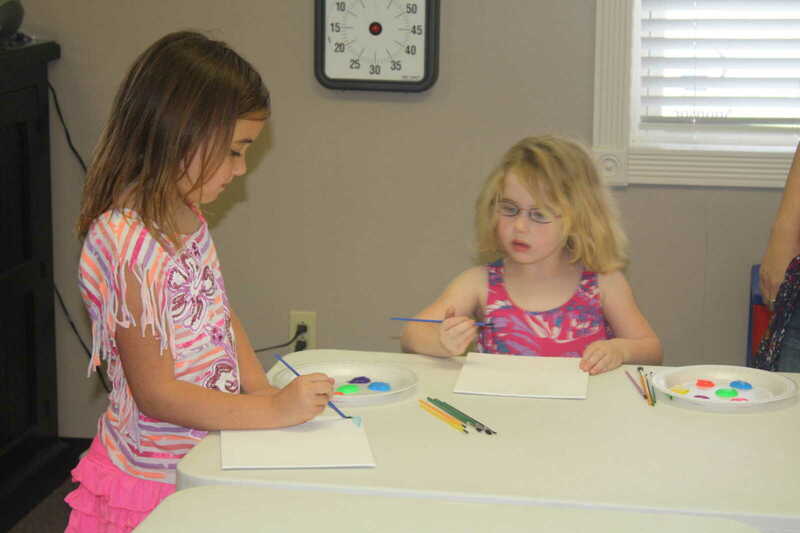 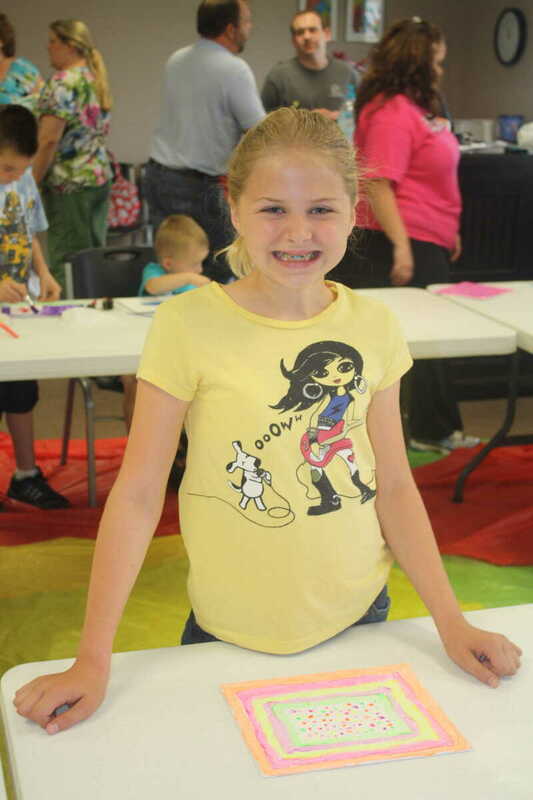 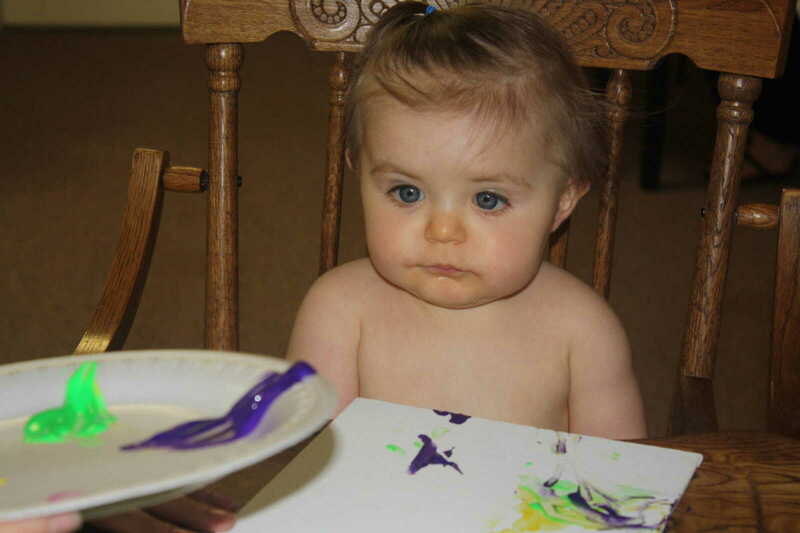 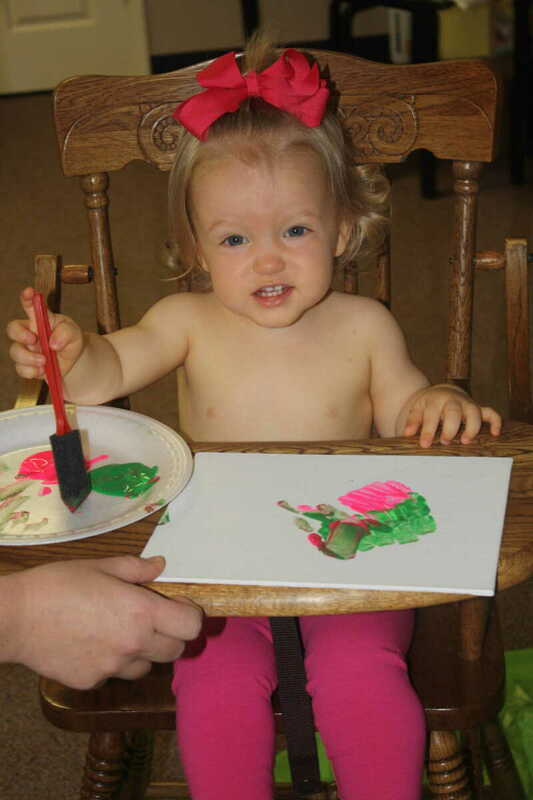 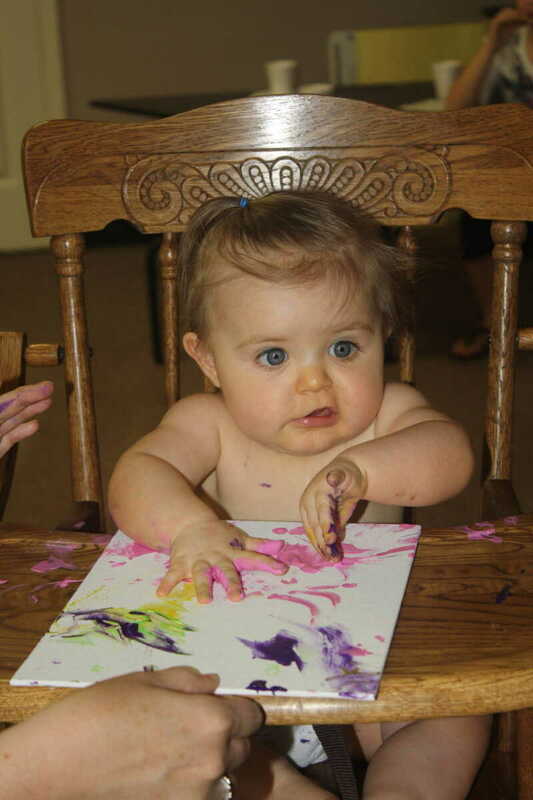 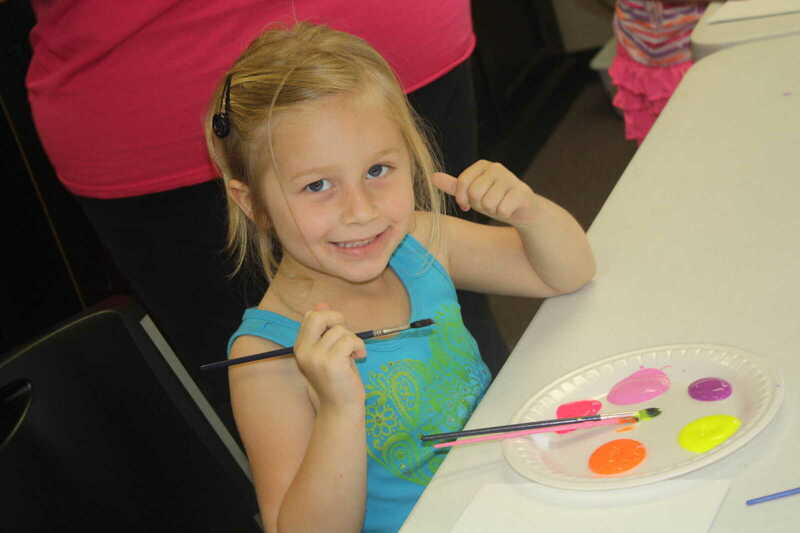 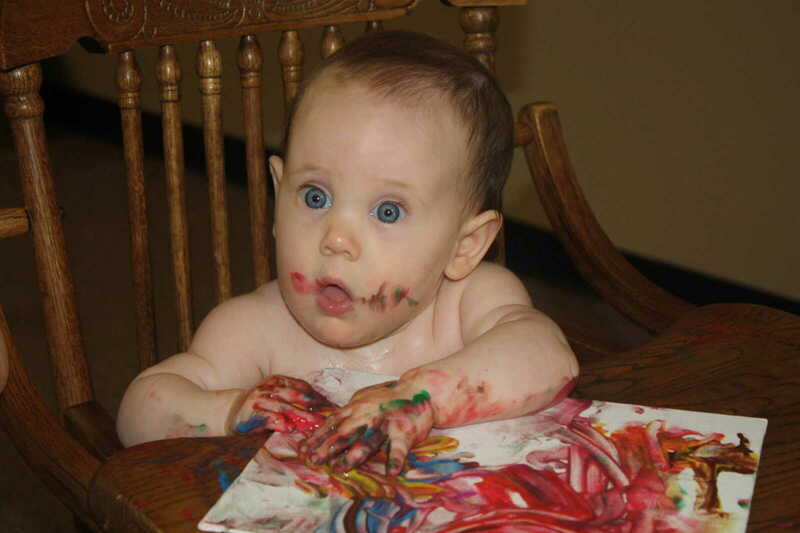 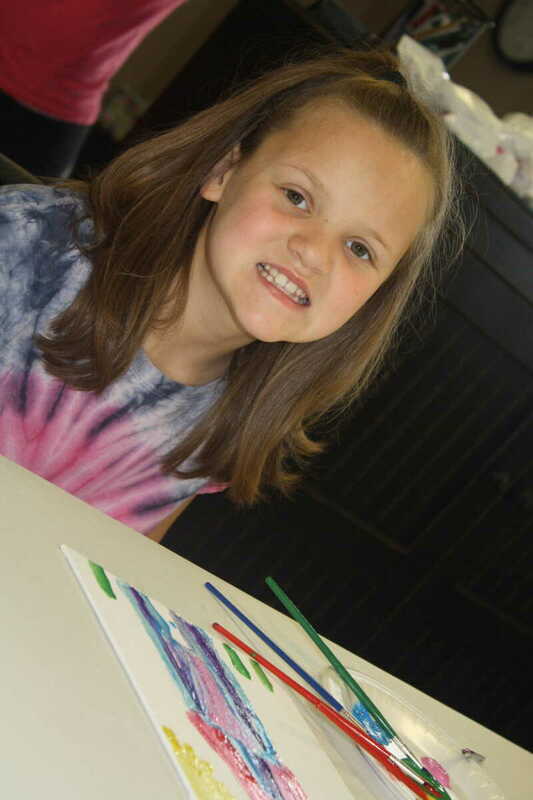 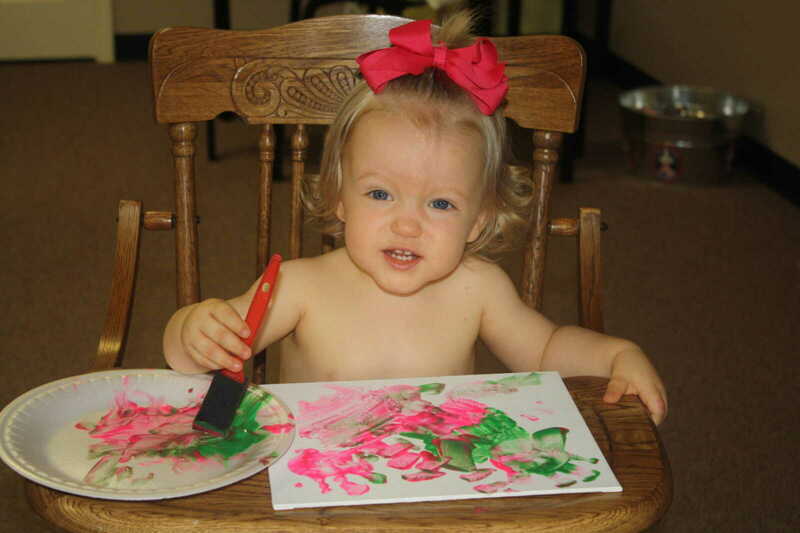 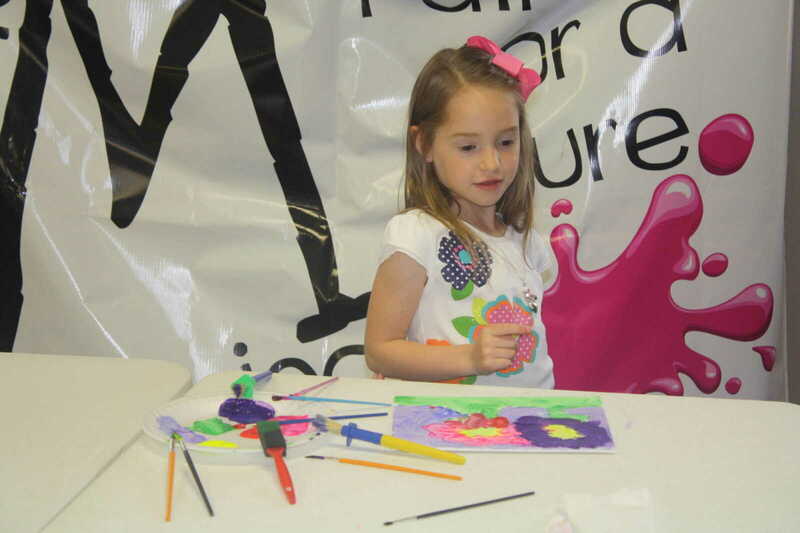 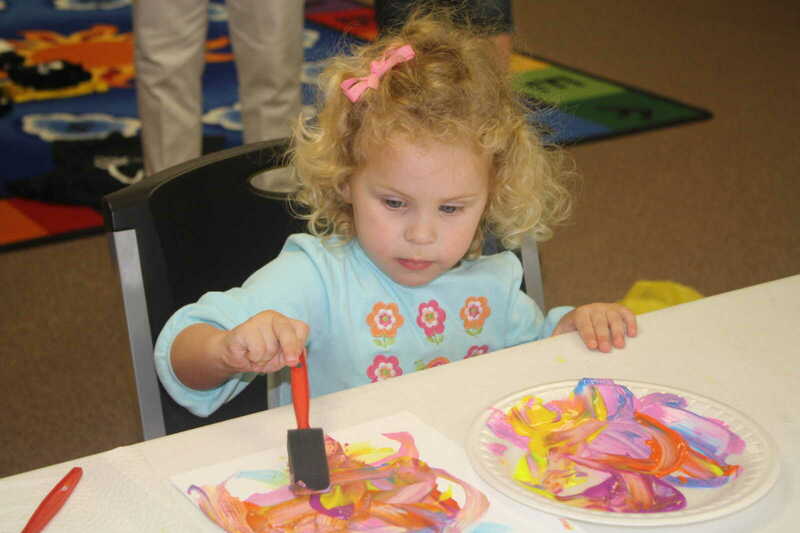 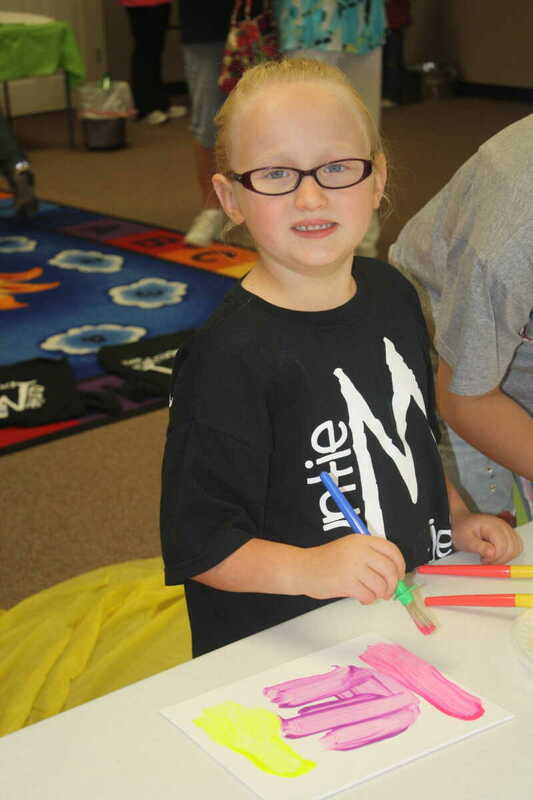 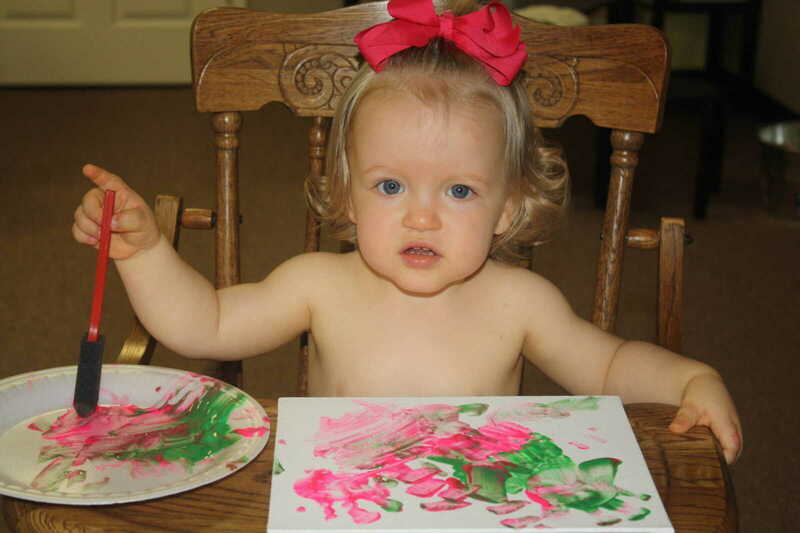 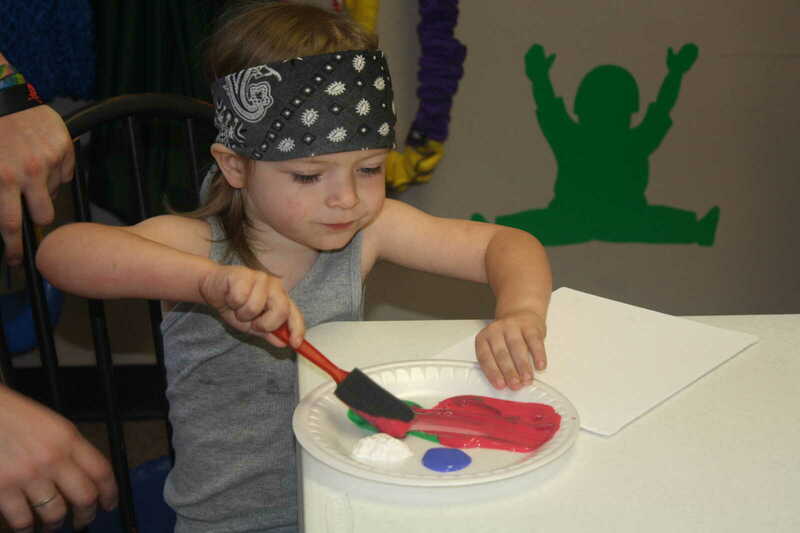 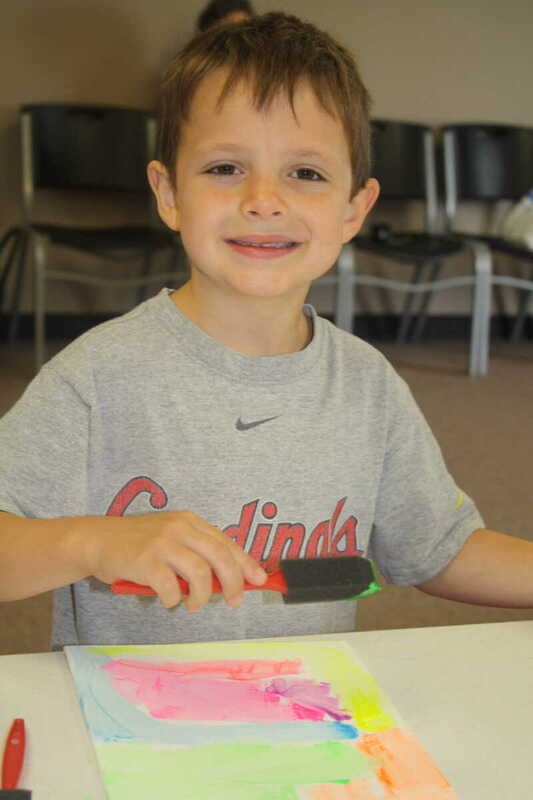 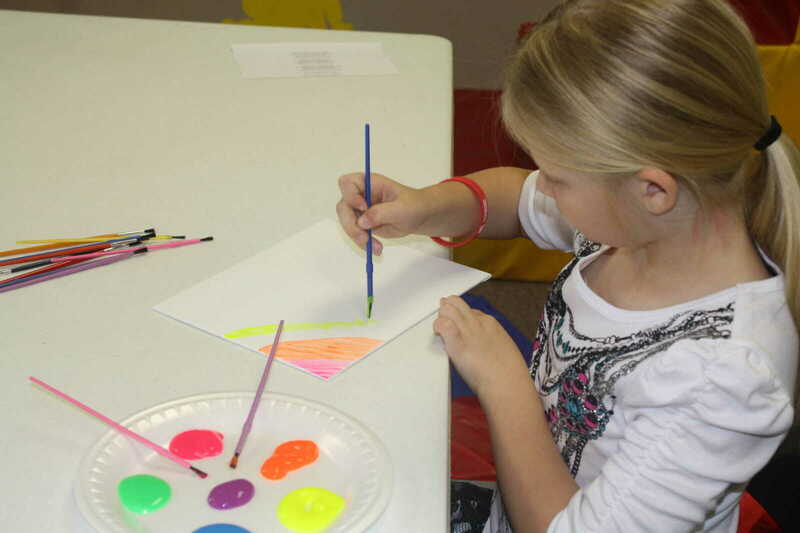 Over $2,200 was raised through this year's event at which children were provided an opportunity to paint a canvas. 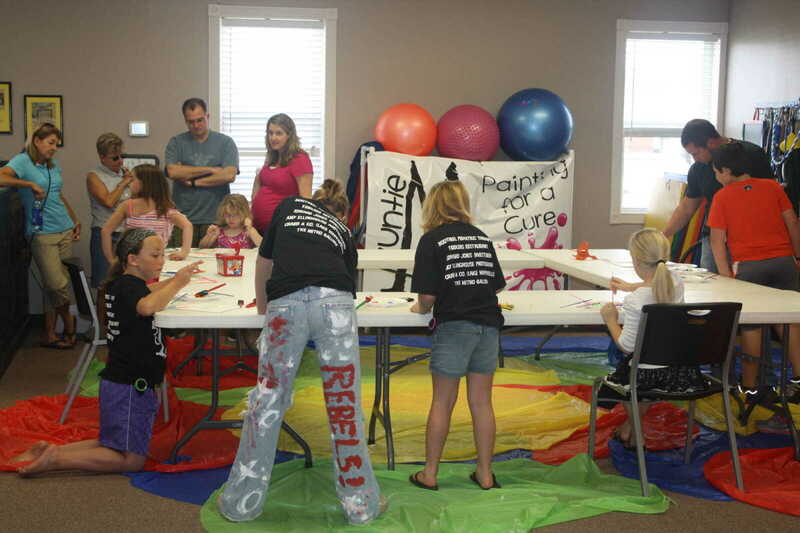 The project is held each year in memory of the late Marilyn Williams who lost her battle with melanoma. 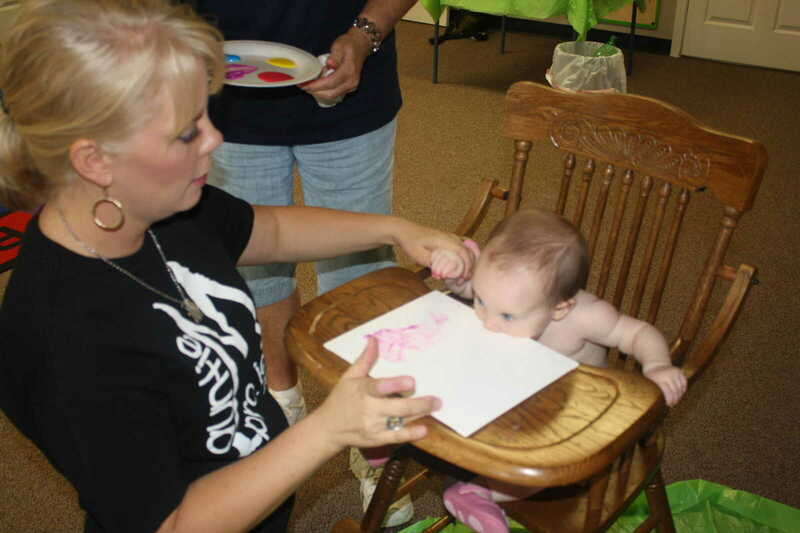 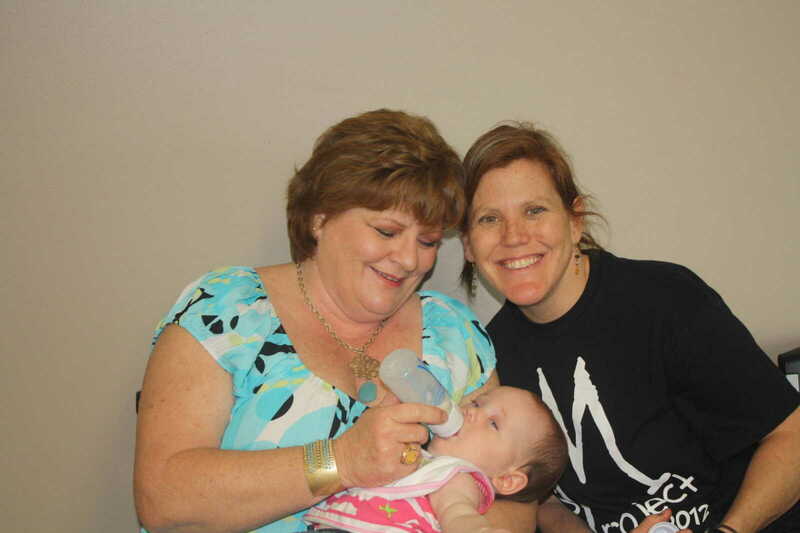 This year, Marilyn Williams' firstborn grandchild, Addilyn Williams, daughter of Roy and Shaunti Williams, joined in the fun at one year old. 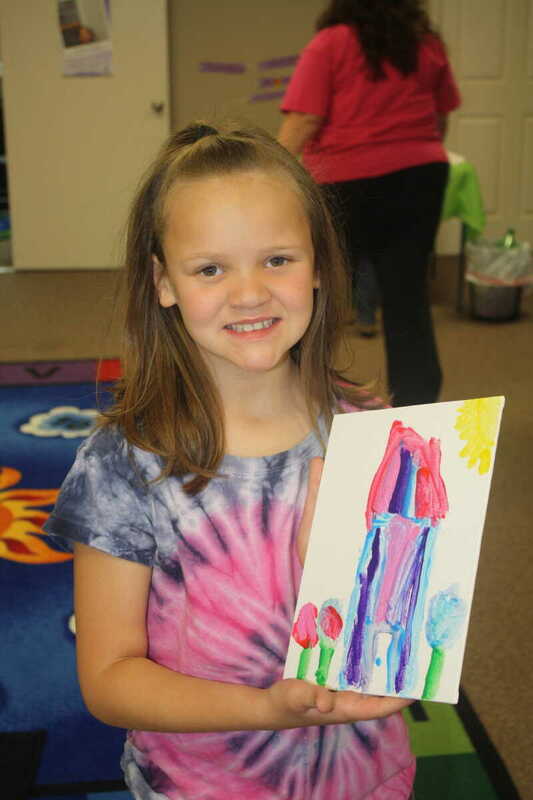 She is pictured herein joining in the project that bears her late grandmother's name.